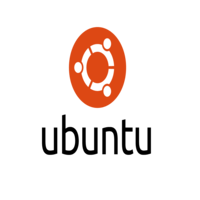 Ubuntu is the most popular operating system running in hosted environments, as it is the most popular server Linux distribution. Ubuntu’s goal is to be secure “out-of-the box”. By default, the user’s programs run with low privileges and cannot corrupt the operating system or other users’ files. For increased security, the sudo tool is used to assign temporary privileges for performing administrative tasks, which allows the root account to remain locked and helps prevent inexperienced users from inadvertently making catastrophic system changes or opening security holes. Ubuntu is owned by Ubuntu(https://www.ubuntu.com/) and they own all related trademarks and IP rights for this software. Cognosys provides hardened and ready to run images of Ubuntu on cloud ( AWS marketplace and Azure). Local menus make a comeback: For previous few versions, menus were available in the global top panel in Ubuntu Unity. Global menus are still enabled by default but now you have the choice to choose between global menu and local menu. Minimize on click: In Ubuntu 14.04 now user can minimize the window by clicking on on a program in Unity launcher. Just to add, it won’t work when multiple windows of the same applications are opened. Even tinier Unity launcher icons : Unity launcher can now be even more slim. The default launcher icon size remains the same in Ubuntu 14.04 but here you can reduced the size of the icons to 16px. Live window resizing is now default : In Ubuntu 14.04, the live resizing of windows is enabled by default. Keyboard filtering for Unity Spread: In Ubuntu 14.04, when you have triggered Unity Spread and you start typing something, it will bring the application window(s) in the front whose name/title matches with what you type. Click the Launch on Compute Engine button to choose the hardware and network settings.